Top musical exports open up aboutA� shedding the home-court advantageA� to enter the big league. While cities like Kochi and Bengaluru have lost count of regional bands that regularly play outside the state, Chennai can only boast a handful. Four, to be exact. Junkyard Groove, Skrat, The F16s and Sapta. a�?Why cana��t our bands break into North India? Sometimes ita��s because metros already have a thriving scene with vibrant and competitive local bands. Other factors include venues that have budgetary restrictions (flights/accommodation for a five-piece band) and the insistence of corporate sponsors on using guaranteed crowd-pullers,a�? explains Roy Dipankar, whoa��s worked for a decade within the independent music industry and is currently managing content at IndiEarth. But all hope is not lost. 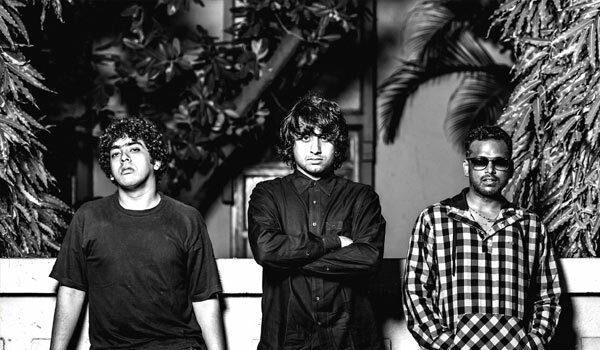 We speak to the four trailblazing outfitsa��who have ventured beyond the annual club gig at Bengalurua��to gain deeper insight into the citya��s live music scene along with tips for aspiring bands. This two-piece act employs a combination of heavy percussion and electronic synthesisers, essentially nullifying the need for a guitarist. Having worked in Dubai/Paris/San Franciscoa��s music industry, ita��s easy to see why Marti Bharath has been able to infuse Western aural aesthetics into Indian electronic soundscapes.a�?Ia��m simultaneously working on three brand-new Sapta albums slated for a 2017 release. We also have a seven-minute, mini-documentary on the band in the works,a�? shares the frontman, whoa��s been booked to perform atA� all editions of the 2016 NH7 Weekender. No other indie band in the country has received a 16-city tour to promote their debut album. From performing at backyard parties in New York (after winning the Road to Converse contest) to getting booked to play at almost every major music festival in the country, this Chennai-based quintet has done it all. a�?The F16s are constantly evolving. Thata��s what sets us apart. Now wea��re working on a new albuma��which is definitely more mellow and synth-popish when compared to grunge rock vibe of the previous album Triggerpunkte,a�? shares keyboardist Harshan R.